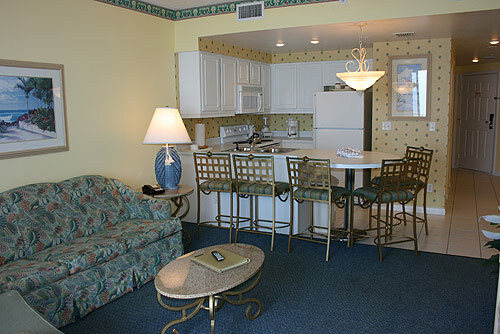 Wyndham Ocean Walk offers one-, two-, and three-bedroom timeshare suites that are beautifully furnished and feature a full kitchen, large living room and bedroom(s), and washer/dryer; some have jacuzzis in the master bedroom. Located on a stretch of pedestrian-only beach, and sharing space with the 80,000 square foot Ocean Walk Village complex, staying at Wyndham Ocean Walk is like two vacations in one. Walk outside the resort doors and you're on the world's most famous beach. Step next door and you're at Ocean Walk Shoppes, a three-level entertainment complex featuring restaurants, theaters, and specialty shops. On-site at Wyndham Ocean Walk you'll find four pools with a water slide, pool bar, Lazy River, kiddie pool, kid's Interactive Aquatic Center with "Jungle Jim" and small slide, putting green, and "Get Out & Play" activities program. 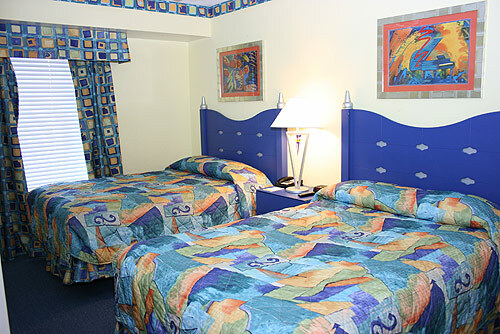 Indoor activities include an arcade, pool table, nine-hole mini golf course, exercise facility, and spa. 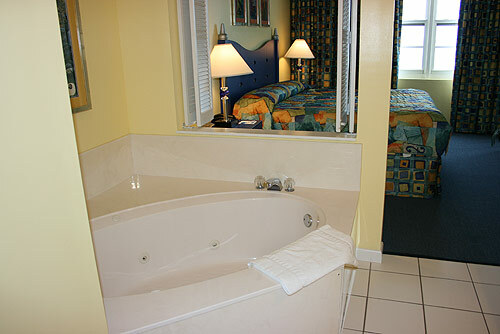 The Daytona Beach area is best known for its 23 miles of wide beaches and NASCAR racing. But that's just for starters. There are downtown historical areas to be explored, deep sea fishing and diving, and hundreds of other recreational activities. Along the many winding waterways you're likely to see wild dolphins, jumping fish, and graceful water birds. It's all here just waiting to be discovered.